So doesn’t it seem silly to just throw an order in a plain brown box or boring white envelope and send it out the door? Especially during the holidays, when it’s bizarre not to be over-the-top? If you want your holiday packaging to make your competitors jealous, take note of the three secrets below. Considering Americans spend an average of $3.2 billion on wrapping paper every year, shoppers are clearly concerned with the outside of the package in addition to what’s inside. 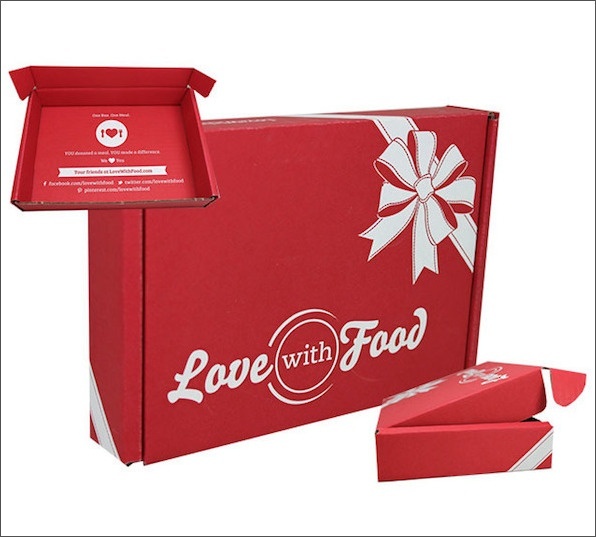 In fact, in a survey by Dotcom Distribution, nearly half of the respondents said branded packaging made them more excited about opening the box. And in that same survey, 40% of participants said they were more likely to order from an online retailer again if their package came in a premium package. The shipping box is the last thing shoppers see before they get to enjoy the items they purchased. And since shoppers are (hopefully) already stoked about receiving their order, you can make them even more excited to break into the package with a super cool design on the outside and inside of the box. 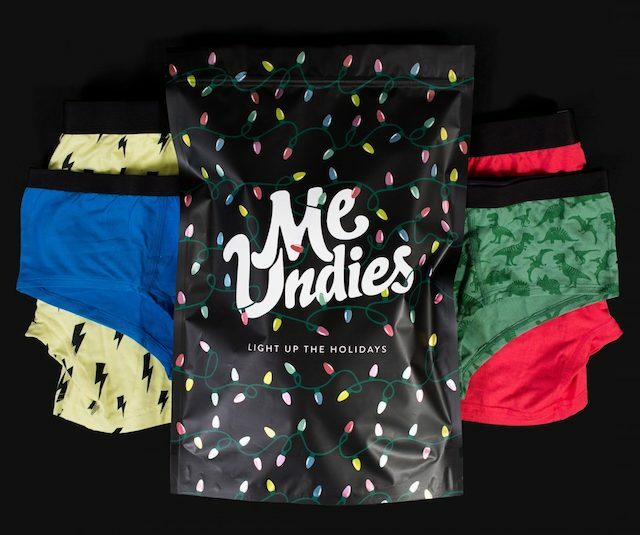 The envelope still has the standard black background and large logo MeUndies sports on its regular packages. But the lights and tagline help give the package a little more pizzazz. Holiday shopping is exhausting. And as much fun as picking out wrapping paper is, the actual process of wrapping presents is kind of a drag. But what if a present ordered online came pre-wrapped? What if all the shopper had to do was hand the item(s) over to the recipient, without even opening the box? Personally, if a brand eliminated the need for me to wrap presents (even though, to be honest, I’m a really talented gift wrapper), I would definitely order from them again. The easier you can make the process of gift-giving, the better. It’s the reason big brands offer holiday gift guides and simplify checkout as much as possible. The inside of a shipping box is prime real estate for holiday messaging. And whether you decorate the interior or include small goodies, discovering these little extras is a nice surprise for shoppers. If you choose to decorate the inside of the box, use it as an opportunity to say hello. Showcase your brand’s personality and express your gratitude to the shopper. If the shopper is a first-time customer, it makes a great first impression. And if they’re repeat purchasers, it reinforces their decision to continue shopping with you. Similar to Love with Food’s packages, Obey’s holiday packaging changes were small, but they were definitely still impactful. SUPER IMPORTANT: In each of these examples, the holiday packaging updates were on-brand. Recipients would still recognize the boxes, even with the changes — which is something that must be said for your holiday packaging. You can (and should) be clever. But don’t sacrifice brand consistency (or for that matter, box durability) for the sake of standing out. Recommend any suppliers for branded boxes or bags? A custom box is definitely a great way to bypass the wrapping paper. Crate & Barrel did a great job of saving me some time Christmas 2017, and Amazon’s gift packaging has saved me for the past 2 years. How far ahead of time should packaging be designed and produced before the holiday season??? Hey Andrew! So glad to hear you’re taking advantage of custom boxes. As far as a timeline goes, it definitely depends on the designer and printing company with whom you’re working. Some require a lot more lead time than others. But I would say if you start the process in mid-Q3, you should be good to go once the holidays roll around. Thanks for sharing this amazing post, I really appreciate that. This really helps in designing the boxes. Wish you luck for more amazing work.